MATH HELPS US BUILD THINGS: Creating something that will last and add value to our home requires creativity, the right set of tools, and a broad range of mathematics. Having the ability to do minor home improvements will save a lot of money and headache. Armed with math, we will also have the ability to check the work and project estimates, ensuring we’re getting the best value. MATH HELPS US BECOME GREAT CHEFS: More math can be found in the kitchen than anywhere else in the house. After all, recipes are really just mathematical problems or self-contained step-by-step sets of processes to be performed. MATH HELPS US MANAGE OUR TIME: With only 1,440 minutes in a day, we really need help in prioritizing what we need to accomplish and thankfully, with the help of math, we can! By assigning each task a number and the higher the number, the more priority it receives. This mathematical to-do list allows us to dedicate yourself to the most important and time-sensitive tasks first. MATH HELPS US MANAGE OUR FINANCES: Experts agree that without strong math skills, people tend to invest, save, or spend money based on their emotions. Someone who thoroughly grasps the concepts of exponential growth and compound interest will be more inclined to better manage their finances. These are but a few ways in which math helps us to make better daily decisions… not only in our personal lives but also our business, where the accounting system is the heart of the operation and the state of its health can mean success or failure. 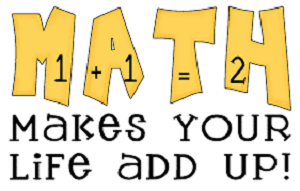 Simply put, math is about solving problems and it plays such an integral part in our daily activities both personally and professionally, it’s no wonder why our high school math teachers were so intent on teaching us this very valuable language skill. If math makes you squirm or you just want a second opinion, consider an external Bookkeeper/Accountant Doctor for your finances.